Nearly three weeks ago, Hank LoConti passed away from lymphoma at age 85. He was the owner of the legendary Cleveland Agora since 1966. The world renowned venue was once rocked by artists such as Bruce Springsteen, Duran Duran, The Raspberries, U2, The Culture Club, XTC, KISS, the Ramones, Metallica, REM, Todd Rundgren, and AC/DC. David Bowie even played keyboard for an Iggy Pop show once. At the time, many of the acts were just on the rise and therefore their fame is associated with the Agora itself. Mr. LoConti refused to take credit for their stardom but is largely remembered for being visionary. The club was one of the first to start recording concerts and nationally broadcasting them. The Agora was also known for its concerts in the middle of the week and in the middle of the day which kids would often ditch school to attend. Every Wednesday at 11am there would be a broadcasted Coffee Break Concert. Artists that performed include the Michael Stanley Band, INXS, Pat Benatar, Quiet Riot, Peter Frampton, and Cyndi Lauper. 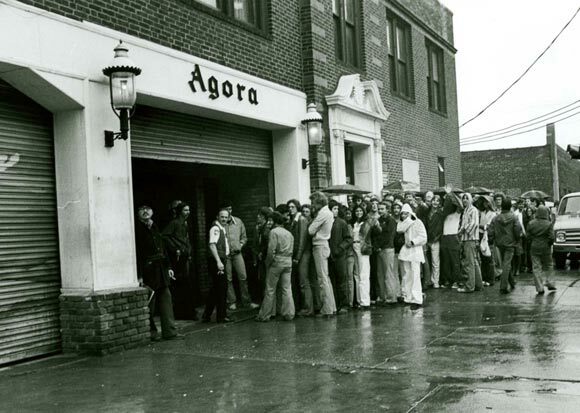 Mr. LoConti spread the Agora brand nationwide in the 1970’s. He opened other venues including locations in Texas and Florida but the only one still standing is right here in Cleveland. Its basement was once a punk club called the Pop Shop which founded many punk bands itself. The Columbus Agora was located in an old opera house now known as the Newport Music Hall. It’s called “America’s Longest Continually Running Rock Club” with most of its original decor and furnishings still intact. In the end, no one can deny the amount of success Mr. LoConti achieved here in Cleveland and his uncanny ability to discover potential. This entry was posted in Uncategorized and tagged agora, cleveland, cleveland agora, concert, Hank LoConti, Newport Music Hall, the agora, venue. Bookmark the permalink.